Click here for more information on the homecoming schedule and about this years inductees! 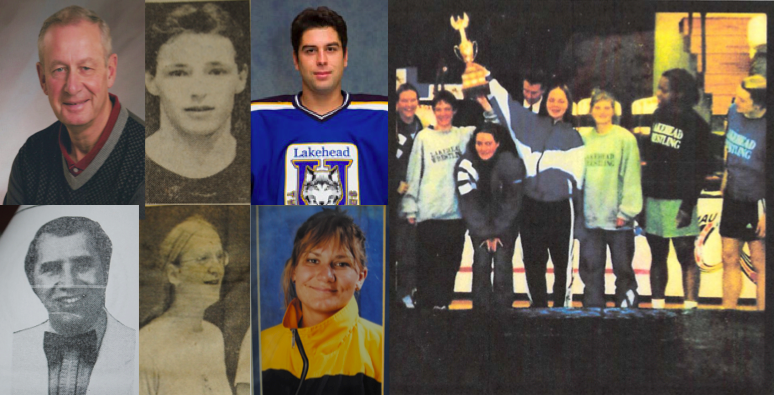 Since 1996, Lakehead Athletics’ Wall of Fame has existed to acknowledge athletes, coaches, teams and administrators who have made outstanding contributions to Lakehead Athletics over the years. Working on a biennial cycle, 1 Builder, 2 athletes* and 1 team (or a string of teams representing an era) are inducted into the Wall of Fame. Inductees’ photos are displayed on the Wall of Fame, which is located in the Hangar Lounge. *Under the current format. In years passed there have been cases of inducting 4 individual athletes (2 Male, 2 Female). – Lana Puumala, women’s nordic skiing, 1992-2000. Dr. Norm La Voie’s tenure as Director of Phys. Ed. and Athletics was from 1988 to ‘94, although he began as a professor of exercise physiology in 1972. He helped to create the Lakehead Sports Medicine Clinic, was a key contributor to the dubbing of ‘The Thunderdome’, and chaired the committee that hosted three women’s national basketball championships, among many other accomplishments. The Men’s basketball team of 1976-77 was coached by Arne Donovan, along with his assistants Wayne Bovay and Don Punch. No Lakehead team has ever won a national basketball title, but this team came as close as one can, losing in the final to Acadia in the Halifax Metro Center. This team was highlighted by it’s captains, Brett ‘Hooper’ McEwan and Mel Bishop, along with 7’ footer Jim Zoet, who was named an All-Canadian that year with Bishop. Larry Zulianello was a star on the Nor’Wester hockey team, who set the record for most goals scored in a Lakehead career (97), before his record was broken recently by current coach Joel Scherban. Zullianello had multiple hat tricks, and played against two tough leagues of opponents in the American NAIA and GPAC conferences. Jeannie Tuomi was a dual athlete, excelling in both field hockey and basketball (teams both coached by Joan Stevenson). In one stretch of Tuomi’s field hockey career her team only surrendered 1 goal over two seasons, going undefeated both of those years. She was an active shooting guard, and was a rare jump shooter, as most women in the sport at the time only shot set shots. Rob Smyth was named as Wrestler of the Year for all of Canada in his senior year. He wrestled in the 65 kg weight class. He won several medals, including He received his education degree from Lakehead and now is a vice principal in North Vancouver. Smyth transferred to Lakehead from the University of Western Ontario in 1994, and carried the team to much success over the concluding years of his career. Lana Puumala was a prolific nordic skiier in her time at Lakehead, which spanned from 1992 to 2000, as an athlete and a coach. She captured many awards for Lakehead during her illustrious career (OUA Aggregate Champion, ’94 and ’95) and also for the province of Ontario at the Canada Winter Games. Many years ago Francis Clayton had a dream of starting a Sports Wall of Fame to honour those that have made outstanding contributions to Lakehead University Athletics. In September of 1993 the Wall of Fame Committee was struck. It consisted of Norm Lavoie, Ron Lappage, Hank Akervall, Peter Dika, Steve Daniar, Francis Clayton, Dan Bissonnette and Darlene Yakimoski. Their mission was to develop the criteria for the wall which included who could be eligible for nomination to the wall. It was decided that each induction year there was a possibility of one builder, two athletes and one team being included. 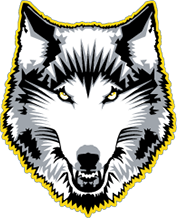 In June of 1996 the First Annual Lakehead University Sports Wall of Fame Induction Dinner was held. It continued for five consecutive years. It was then decided that the dinner would be held every two years. The Wall of Fame is located in the Hangar Athletic Facility.